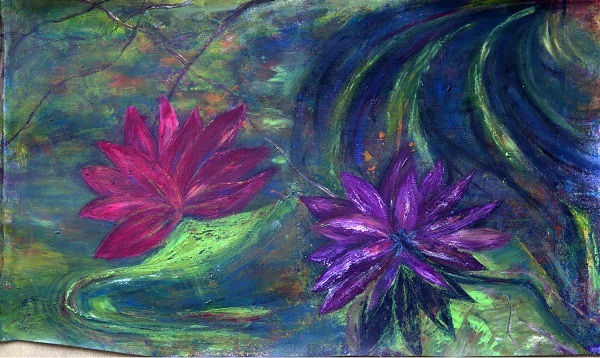 For many artists, it’s an emotional connection to a place, event, person or experience that guides their practice. 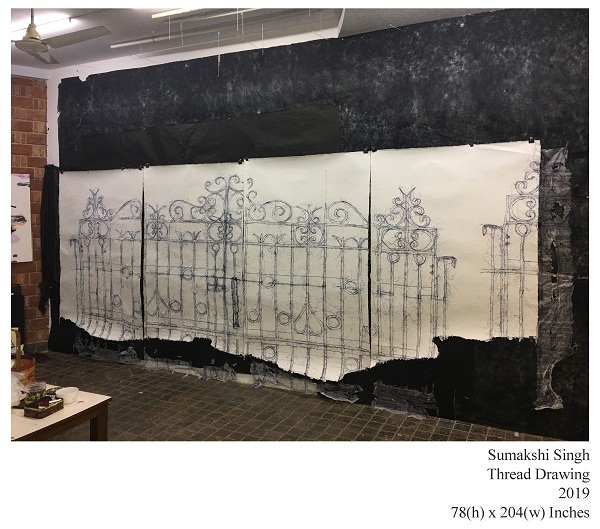 And for Delhi-born artist Sumakshi Singh, it’s the various homes she’s lived in that she finds emotional resonance in, and that form the basis for her latest show. The exhibition — that gets its name from the home built by her family in Delhi soon after Partition, when her grandparents migrated from Pakistan to India — includes life-sized, embroidered architectural fragments of these spaces, and invites viewers to walk through these works, each one telling a different story. 33 Link Road is on display at Sakshi Gallery (6/19, Grants Building, 2nd Floor, Arthur Bunder Road, Colaba), Mumbai until April 13. Curated by art historian Dr Alka Pande, Singapore-based Indo-British artist Kavita Issar Batra’s latest exhibition in India presents an exhibition of paintings, photographs, video and installations that focus on the natural, organic materials that we find on the pavements and streets around us. Batra, in each of her creations, brings to life the seemingly ordinary as she attempts to find beauty in the mundane and often ignores the world around us. No Number, No Name is on display at Visual Arts Gallery (India Habitat Centre, Lodhi Road, Institutional Area, Lodi Colony), New Delhi until April 6. For gourmands, East Asian food is that cuisine that you want more of, as you have more of it. Bringing to patrons a platter of the very best, Sheraton Hyderabad’s Asian restaurant Zega is hosting a dim sum feast. 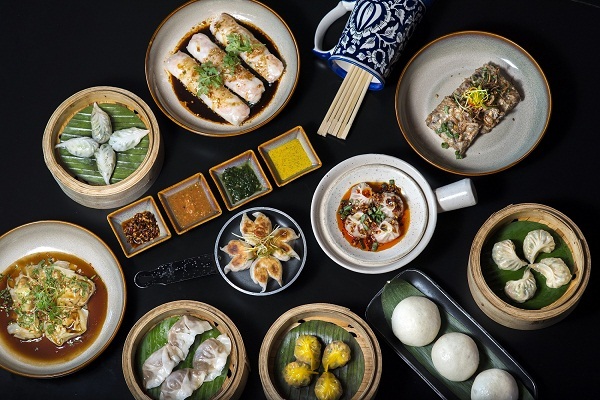 Including a variety of the famed dumplings in both vegetarian and non-vegetarian options, Zega’s special menu features dishes like pan-fried chicken gyoza, sichuan spicy pork dim sum, Beijing dumplings, braised wontons, crispy fried turnip and Shiitake cakes. End your lavish meal with a helping of their delicious banana toffee and an ice cream of your choice! The Dim Sum Feast is on offer at Zega (Sheraton Hyderabad Hotel, 115/1 Nanakramguda, Financial District, Gachibowli), Hyderabad until April 30. Timings 12.30-6pm. Experience a true Goan carnival with Bandra eatery O Pedro’s latest offering. Partnering with Goan gin brand Stranger & Sons, the restaurant has on offer delectable food and mouth-watering cocktails and is celebrating the opening of its new Uncle Juju’s Jujubes Shop. So head to O Pedro’s and eat, dance, and make merry to your heart’s content, just how the Goans like it! The Fat Carnival Brunch is on offer at O Pedro (Unit No. 2, Jet Airways – Godrej, Bandra Kurla Complex), Mumbai every weekend until the end of April, 11am-4.30pm. Welcome the summer season with a celebration of all things fun, as Bira 91 hosts its April Fools Fest with beer, music, comedy, art and more. With a line-up of acts by musicians like Naezy, Raja Kumari, Prabh Deep, MoCity, Monica Dogra, DJ Sa, Seedhe Maut & Sez belting out their tunes and comedians including The Improv Dream Team, Rohan Joshi, Kunal Kamra, Rahul Dua and Prashasti Singh bringing in the laughs, this one promises a weekend of true entertainment. 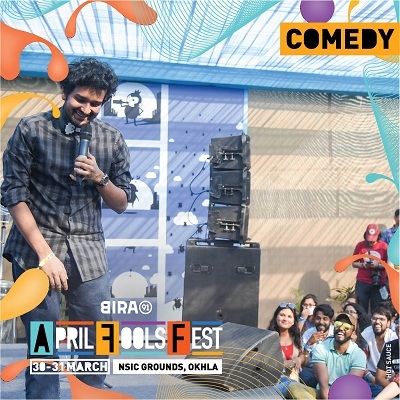 The Bira 91 April Fools Fest is taking place at NSIC Exhibition Grounds (Okhla Phase 3 Road, NSIC Estate, Okhla Industrial Area), New Delhi on March 30 and 31. It doesn’t get better than this for aficionados of Western classical music. Widely considered one of the best orchestras in the world, the Stuttgart Chamber Orchestra (SCO) will be playing in India for the fifth time, this edition under the direction of Bogdan Božović. The orchestra will be playing the works of maestros Bach and Brahms, as well as debuting a performance of Vistar, a commissioned work by Indian composer Sandeep Bhagwati — this one in accompaniment by musicians from Bengaluru and Mumbai. The Stuttgart Chamber Orchestra will be performing at Tata Theatre (National Centre for the Performing Arts, NCPA Marg, Nariman Point), Mumbai on March 30 at 7pm.